Everything you need from small business tax preparation to S Corp elections to payroll to accounting is located here. 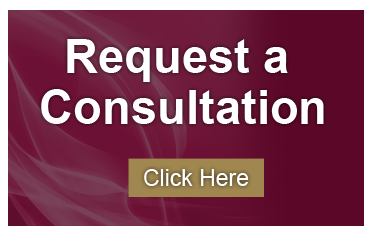 Need consultation? Questions about retirement planning within your business? That’s here too. Worries about long-distance relationships? Most of our clients are primarily in California, Nevada, Colorado, Texas, the Midwest, Florida and New England, but we serve business owners in all 50 states. Long distance is a snap! Get your business on the right track, right away. Let us discuss the proper entity type for your needs and goals, that not only work today but is something you can rely on for the future. Our business consultation services include Period Business Reviews and Year-End Tax Planning. Anyone can balance a checkbook or put the right numbers on a tax return, but proper consultation is necessary to stay ahead of the tax obligations and understand business nuances. Call or email to request a 40 minute consultation. Our fee is $150, but we credit that back to you if you decide to engage us for future services. Low risk, high- reward. There are many new tax reform changes including the Qualified Business Income Deduction (QBID), the death of Meals and Entertainment as we see it and important changes especially aimed at business owners. Call us for an analysis so you aren’t left in the dark! Are you a non-profit and need Audited Financial Statements? We’re the firm that can perform your audit. Give us a call to discuss your needs. We are fully up to date on all new regulations regarding financial reporting for non-profits. Knowledgeable in the health care, nursing home and VNA facilities. Click on the Tax Services or Fee Info for information on our small business, LLCs, corporate and partnership tax returns procedures and general fees. A checklist for compiling your business activities is included. We can form your Non-profit, including Articles of Incorporation, EIN, Operating Agreement, Board of Director write ups, and all of the information and write-ups necessary to prove that you do qualify for non- profit status. With us preparing everything, coupled with our knowledge and expertise, it increases your chances of being approved by the IRS tenfold. We can also prepare your 990 and State Annual Reports so that you stay in compliance! We also prepare Reviewed and Compiled Financial Statements for reporting to Boards and for obtaining grants and scholarships. ALERT! Not all CPA Firms are willing to go through the rigorous “Peer Review” process required by the AICPA to prepare Financial Statements! The Edwards CPA Group proudly OFFERS this service!! Financial Statements from Certified Public Accountants are usually required for Boards of Non-Profits, Grant Organizations like the United Way and by banks who hold Lines of Credit or Mortgages for businesses or sole proprietors, but any business can and should take advantage of this service and here’s why. We are certifying that we’ve looked at your numbers and give limited assurance that they are a true representation of your Organization or Business. Our signature carries a lot of weight. Only CPA’s can sign and issue these reports, and it can be a slam dunk when applying for a loan, a line of credit or increase in these types of debt. 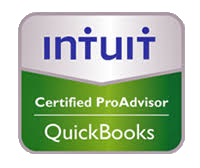 It gives you a great snapshot of your business that Quickbooks or Sage statements done by Do-It-Yourselfers will not give (because they are usually incorrect…and banks pick up on this!) No other professional can provide this level of service. Smart business owners look professional with Financial Statements prepared by a CPA. The loss of a loved one can be traumatic and overwhelming enough without having the added burden of settling the Estate. Planning is the key to protecting and preserving your hard-earned Assets. We work with knowledgeable attorneys to help you start the process of drawing up a Will, and Revocable Trusts or other trusts that will protect assets from the IRS. But perhaps your folks just passed away and you have no idea what to do, or what’s been set up. We have expertise in this arena to help you navigate through all the requirements. We can obtain and EIN for your trust if there was one. We can settle the final returns and do all the accounting for the required State forms if there was no planning which means the estate must go through Probate. With proper planning you can avoid the costly, time consuming process of Probate. When doing business either online or face-to-face, you want peace of mind that things will go smoothly. Furthermore, if things don’t go as planned, then you want comfort in knowing they will be taken care of. The Edwards CPA Group takes customer service and satisfaction very seriously. We are not bookkeepers- we are Certified Public Accountants. Sorry for being snooty but accountants look at things very differently (better) than bookkeepers. Bookkeepers simply memorialize your transactions. Accountants offer insight and advice. And while don’t like to admit it, we are payroll specialists too. We are a full-service tax preparation, accounting and small business consultation firm, and we look forward to working with you!